Traditional and sometimes highly diverse breakdown situations make up our main body of work and are highly familiar to us. It is important to master the inner life of the entire machine in terms of mechanics, electricity and control – this is how we get the machines up and running again! We are familiar with the most common controls and their troubleshooting diagnostics. 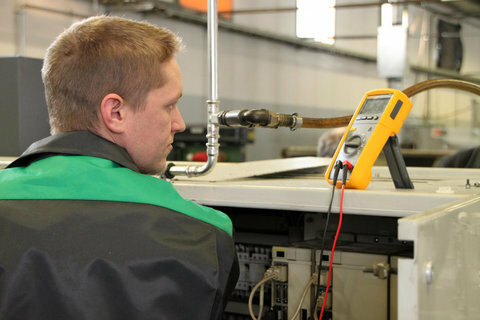 - Oscilloscopes, a Fluke Installation Tester, insulation testers, a thermographic camera, inductive sensor testers etc.